Water helps flush toxins, makes you feel fuller, and speeds up fat burning—all great reasons to stay hydrated on a very low calorie diet (VLCDN). Recent research suggests that the average person requires eight to nine glasses of water a day. Without enough water in your body, your cells get congested, your skin can’t detox, and your bladder and kidneys won’t work properly. You’ll feel tired and eat more, too. Often when you feel hungry, your body is really telling you that you are dehydrated. Try a glass of water before you reach for a snack. Water also aids in circulation and helps regulate the body’s cooling system. However, if you find drinking water monotonous or boring, there are a few ways you can liven up your hydration without adding calories. Most herbal teas add flavor without adding calories, especially if you don’t add sugar. There are great caffeine-free tea flavors such as peach, blueberry, and apple. Brew some up and chill it or drink it hot. You can also steep mint, ginger or liquorice tea until highly concentrated and add it to your water for a little zip. Peel a raw cucumber and add slices to a pitcher of water for a refreshing spa-like beverage. Not only does the cucumber flavor infiltrate the water, some of the cucumber’s nutrients do as well, including C, A, K, iron, calcium, and potassium. Munching on the cucumber slices can help you to maximize your vitamin and nutrient intake. Add a few crushed mint leaves to your water to give it a cool fresh taste or try some basil if you prefer something zestier. Simmer a cinnamon stick in one cup of hot water and let cool. Mix the concentrate with cold water and keep chilled. Serve over ice and garnish as desired. Buy a water infuser and add some fresh fruit from the approved list provided by ChiroThin. Add the fruit to the strainer at the center of the infuser and let the fruit flavors steep into the water in the pitcher. Remove the fruit when you have reached the amount of flavour you prefer. You can also freeze sliced citrus fruit such as limes, lemons, clementines, or even berries and use them as ice cubes. Not only will this add flavor, but also an elegant flair. Add a few drops of your favorite organic essential oil to cold water or iced tea. When choosing a strong flavor such as peppermint, start with one drop and add to taste. 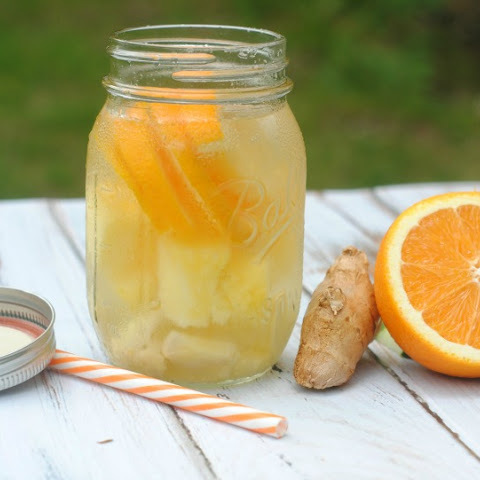 Or you can combine flavors for more complex beverages such as one drop sweet orange/one drop cinnamon or one drop ginger/one drop lemon. Now it’s time to play with your water. Try ginger tea with a burst of cinnamon, or cucumber with a hint of basil. Another nice combination is mint leaves and frozen berries. Here are a few suggestions for flavor combinations using the techniques outlined above. Tart lemon and cool cucumber pair well together. Add lemons to your water infuser or freeze some slices to use as ice cubes. Add sliced cucumbers and keep chilled. Flavorful and colorful strawberries and basil are a perfect pairing. Beware, basil can over power the strawberries so add the basil gradually until the flavour is right for you. 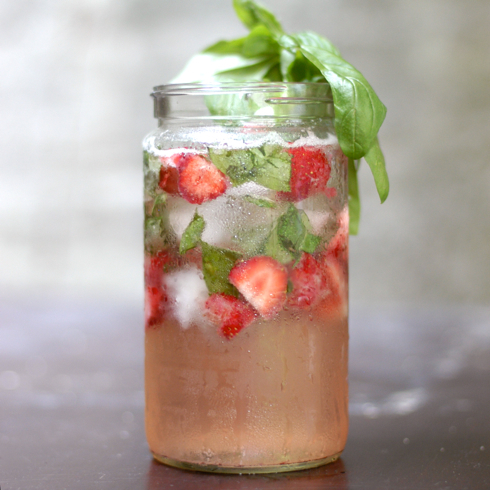 Basil provides iron and strawberries give you a jolt of vitamin C.
You can add mint leaves on to your water for subtle flavor. If you want something more complex, combine mint leaves with strawberry, raspberry, or lime ice cubes. Cucumber and mint is another nice combination you can try. Freeze chunks of watermelon to use as ice cubes. Add thyme and as little or as many sliced jalapeños as you dare (including the seeds will increase the heat). This spicy combination gives you the added benefit of vitamins A and C from the watermelon and capsaicin from the jalapeños. Note: Remember to wash your hands thoroughly after handling jalapeños. Add apples to your infuser or use frozen apple slices as ice cubes. Brew a cinnamon stick as described above and add it as well. Garnish with some lemon slices if you like it zestier. Remember to go lightly on the apples, as they can slow down weight loss in many people. This dynamic duo gives you the antioxidant power of blueberries and mint. Throw everything together in a pitcher and let it steep overnight in the refrigerator. Keep chilled. Try pairing melon and lime for some subtle flavor. You can also combine frozen honeydew cubes with frozen lime slices for a refreshing beverage. If you like it zestier, you can boost the citrus flavor with a drop of lemon grass oil. Combine frozen slices of your favorite citrus such as lemon lime, grapefruit, and oranges. Add mint, basil, or even cilantro leaves for a flavorful twist. Peel and slice a 2-3 inch piece of ginger root, add one cup of water and heat in water until just boiling. Turn off the heat and steep for at least 30 minutes. Add to pitcher of cold water and use frozen raspberries, blueberries, or lime slices as ice cubes. Stir and let chill overnight. 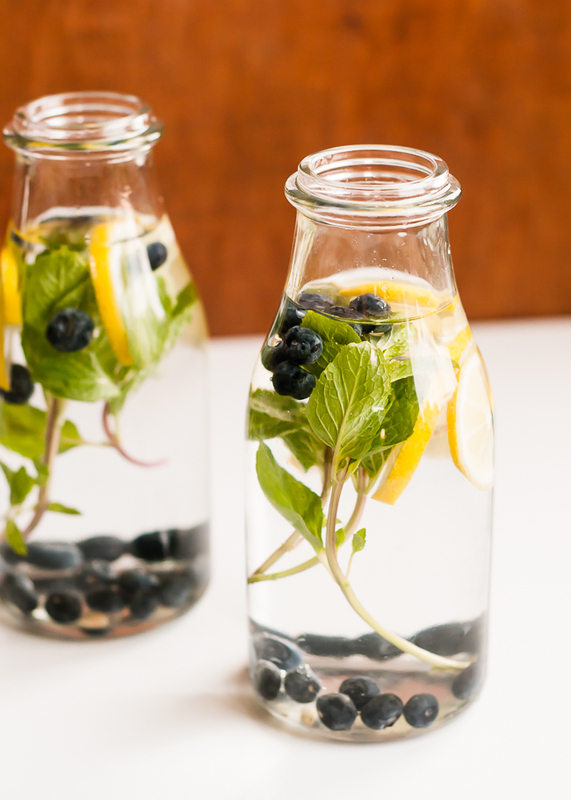 Once you’ve mastered these techniques, keep pre-flavored, chilled water in your refrigerator so it’s always available. The flavor combinations are endless and your water will never be boring again. More importantly, hydration, the essential part of any very low calorie diet (VLCD) will be an absolute breeze.